For China's private petroleum companies, 2017 has been a watershed year in terms of overseas merger and acquisitions (M&As). Over the past three years, China's private oil and gas firms have embarked on a global shopping spree for upstream assets as global oil prices plummeted and as the country's big three oil companies - China National Petroleum Corporation, China Petrochemical Corp and China National Offshore Oil Corp - struggled with profits due to a nationwide corruption crackdown. From 2014 to 2016, a total of 20 private firms expanded globally, pumping up to $10 billion into overseas projects, according to a report published by weekly financial magazine Caixin on Monday. But the frenzy started to cool down in 2017. This year, after an initial period of operation, the projects, which private firms snapped up, have shown mixed financial results, highlighting the barriers those newcomers have confronted in addition to struggling to make potential gains. 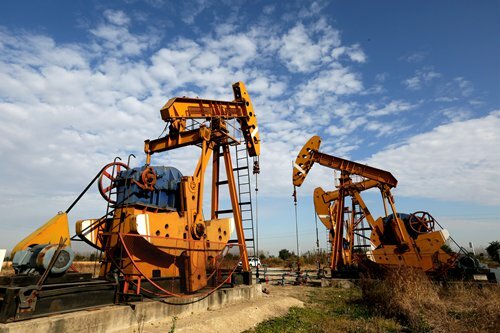 Meanwhile, the Chinese government has strengthened supervision on domestic capital outflow, forcing private oil enterprises that eye oil assets overseas to "enter a dormant period," the report noted. China's oil and gas industry has long been under strict administrative control. According to relevant rules, oil resources are State-owned, and only refineries which have been granted permits from the State Council, the country's cabinet, are allowed to search for and extract such resources. As a result, the domestic upstream oil and gas industry has long been dominated by the State-owned "Big Three" oil companies, which own 97.4 percent and 98.9 percent of the country's registered areas for exploration and mining, respectively, according to data released by the Ministry of Land and Resources. Against that backdrop, gaining access to mineral resources of good quality is "extremely hard" for private firms, even after the government gradually loosened its grip on the industry in 2010 by issuing new rules that encourage the participation of private capitals in the energy sector, said the Caixin report. In fact, the oil-gas fields that have been open to public tendering since 2010 are "unconventional petroleum resources like coalbed methane and shale gas, most of which call for abundant and consistent capital injection as well as mature technologies [to explore the resources] due to their sophisticated underground mineral structure," said Xu Qinhua, the director of the International Energy Strategy Research Center under the Renmin University of China. Xu noted that the risks of drilling such resources overweigh the benefits for private firms; therefore, a more viable option was to "go overseas," Xu said. The desire was further driven by a global oil price plunge in 2014, which enabled domestic firms to buy on the dips, said Caixin. At the same time, the overseas M&A deals initiated by the country's Big Three were also halted due to capital crunch after they were being stormed by the nationwide anti-corruption campaign. The private companies that started overseas M&As included Geo-Jade Petroleum Corporation, China Meidu Corporation and Shandong Xinchao Energy Corporation - all of which used to be property developers. Meanwhile, others, such as China Energy Company and Shandong Polymer Bio-chemicals Co, were traditional players in oil-related fields, the Caixin report noted. Those investments centered on neighboring countries such as Russia and Kazakhstan as well as more developed nations like the US, Canada and Australia. "The logics behind the investment destinations are simple: a stable policy environment and a well-developed local basic infrastructure," Zhang Xin, an industry insider, was quoted as saying in the Caixin report. Besides, the Chinese private firms preferred "mature oil-gas fields that were already in operation," as such assets do not require huge investment and have demonstrated reserves, mitigating potential risks, Zhang added. But the question is: have those overseas oil resource hunters succeeded in bottom fishing? The case of Geo-Jade provides an inspiring story, according to the Caixin report. In August 2014, Geo-Jade acquired 95 percent equity interests of Kazakhstan-based oil company Maten in a deal worth $525 million, marking the Chinese private firm's largest-ever investment project in the Kazakhstani oil sector to date, the Xinhua News Agency reported. Since then, Geo-Jade has invested a total of $1.5 billion by purchasing four oilfields in Kazakhstan, centering the company's oil assets on the Pre-Caspian Basin, one of the largest oil and gas-bearing basins in the world, and its neighboring regions. In March 2016, Geo-Jade, through its affiliates, also agreed to buy Canadian oil producer Bankers Petroleum in a transaction amounting to $411 million, Bloomberg reported. The deal, once completed, should drive up Geo-Jade's exploitable reserves to 400 million barrels, making it the largest private oil producer in the A-share market. Over the past three years, Geo-Jade has reaped a lot on the bounce-back of global oil prices. At the end of the third quarter of 2017, the company's oilfields in Kazakhstan had supplied 571,100 tons of crude oil, generating a profit of 226 million yuan ($34.08 million), the Caixin report noted. But for other private players like Shandong Polymer Bio-chemicals, its overseas M&A has been stuck at a dead-end. In December 2014, Polymer International, a Hong Kong subsidiary of Polymer for overseas investment, purchased a 51 percent stake in Rally Canada Resources, according to a Reuters report. In May 2015, Rally acquired Bashaw's oildom in Alberta, Canada, which consisted of six oilfields with 96 active wells, for $26 million. But in August 2017, Polymer announced plans to transfer all the equity of Polymer International, citing Rally's "operational losses" and "losses from assets devaluation" as the reasons, the Caixin report noted. It also attributed the ongoing losses of Rally to "the parent company's limited experience in running oilfields and unsolvable disagreements among top managers." Experts noted that Polymer's dismissing financial results highlight a slew of challenges domestic firms have faced when shopping overseas. "Without any experience at home, they are newcomers to the oil industry - barely having any understanding of financing, dealing with the government, exploring minerals and saving costs. And that's why some of the overseas projects have moved slowly and not been effective," said an industry insider, noting that the unfamiliarity with local regulations also posed another barrier.